OpenLM supports license monitoring of a wide, and ever growing variety of license managers. This application note elaborates the steps required to configure OpenLM to interface the Beta LM license manager, to monitor license usage and obtain license statistics. 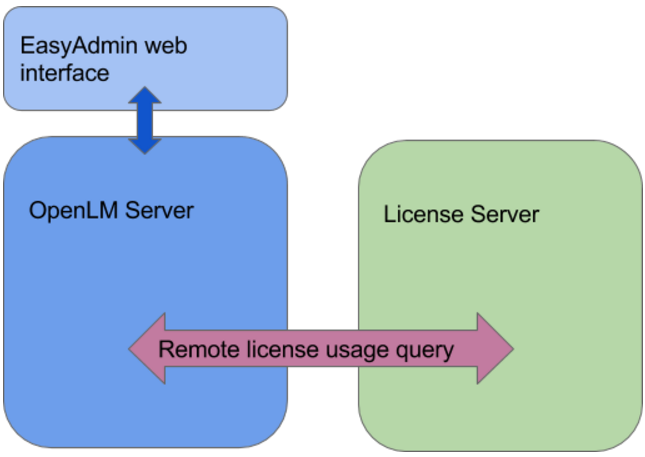 the first option is to remotely query the license server from the OpenLM Server. the second option is to install the the OpenLM Broker, query the License Server locally, and propagate the information back to the OpenLM Server. 2. 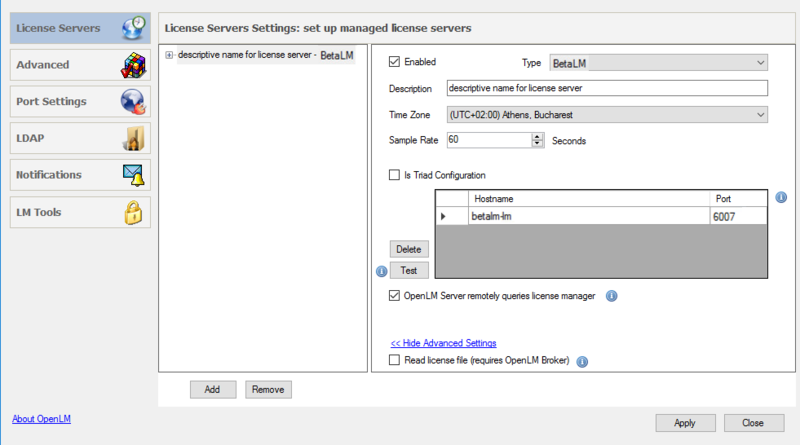 Open the OpenLM Server Configuration Form. Select the LM Tools tab → BetaLM tab. 3. Type in the full path of the executable file, i.e. : “C:\Program Files (x86)\OpenLM\OpenLM Server\LM\beta_lm_stat.exe” in the “Beta LM executable file” text box. 4. Click the ‘Apply’ button. 1. Select the “License Servers” tab, and click the ‘Add‘ button. 2. Select the Beta-LM type from the “Type” dropdown list. 3. Type in a meaningful description in the “Description” text box. 4. Type in the appropriate “Hostname” and “Port” numbers (e.g. beta-lm and 6007 respectively). 5. Is Triad Configuration: OpenLM supports multiple server redundancy configurations for several types of license servers (e.g. FlexLM, DSLS, IBM LUM). At the time of writing this article, OpenLM does not yet support multiple server redundancy for Beta-LM. Keep this box unchecked. Checked (Default): The OpenLM Server actively queries the license manager. 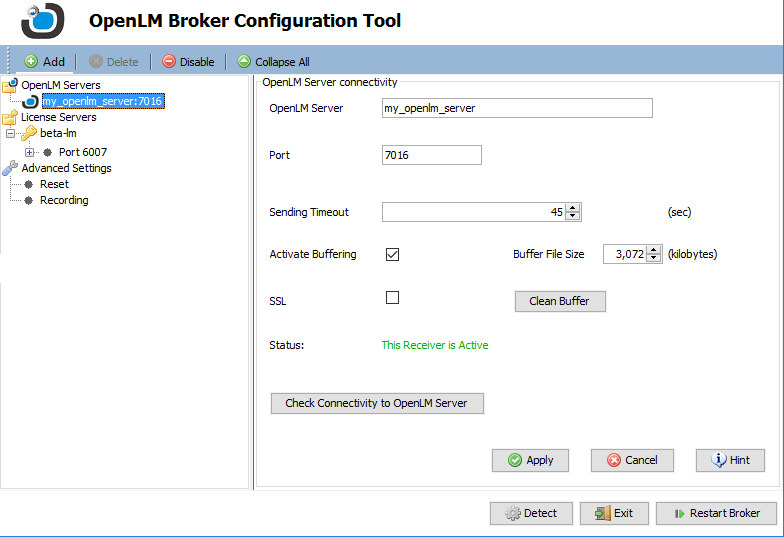 Keep this configuration when not employing the OpenLM Broker. 8. Click “Apply”, and the consecutive “Restart now” button. OpenLM Server should be ready to query your Beta-LM license manager and present the information over the EasyAdmin web application. 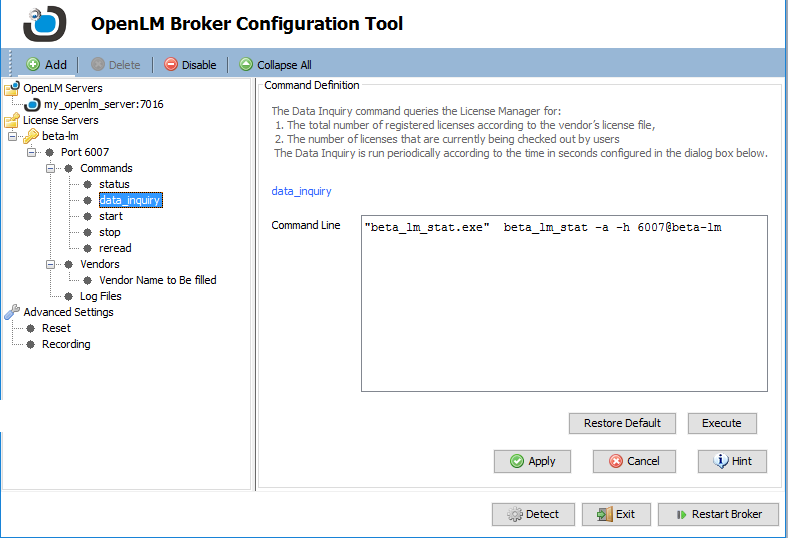 The OpenLM Broker is an optional, though highly recommended component, that should be installed and configured on the Beta-LM license manager machine. 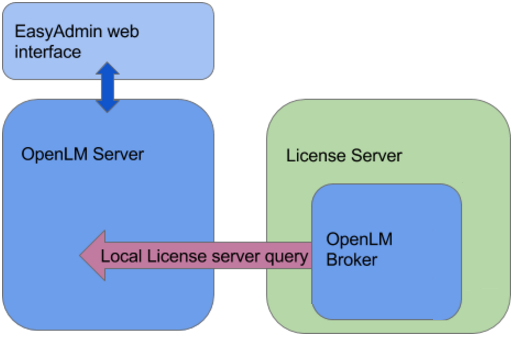 The OpenLM Broker queries the Beta-LM license server locally, and propagates the data to the OpenLM Server. It facilitates robust, buffered communication with the OpenLM Server to overcome temporary network failures. Follow the same steps for configuring the OpenLM Server as listed above, but keep the OpenLM Server queries license manager box unchecked. 2. 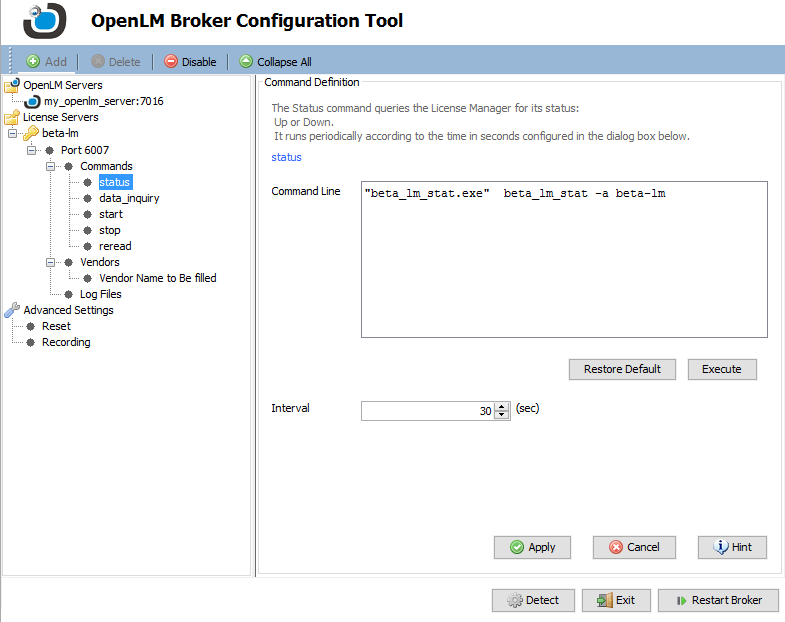 Configure the OpenLM Broker to monitor the Beta-LM license server (e.g. beta-lm) on the license manager’s port (e.g. 6007). These configurations must exactly match those of the OpenLM Server configuration tool (see above). Click EasyAdmin Start → Widgets→ License Servers. The License Servers window appears. Verify that the configured license managers appear on the list. A green circle node indicates an active connection to a license server.